Caviar: Salted roe of sturgeon and other varieties of fish are popularly known as caviar. It is a delicacy used as a spread or garnish and with hors d’oeuvres. 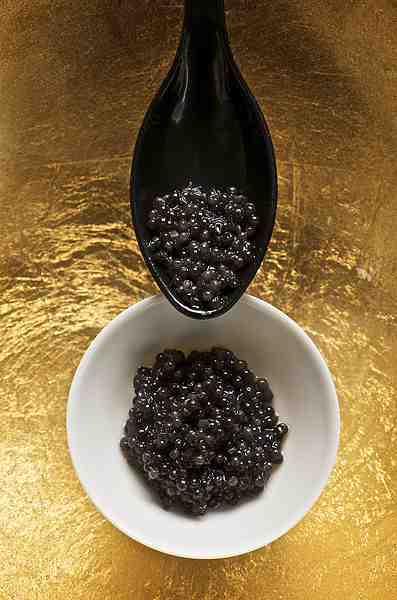 Caviar is a deviate of the Persian word Khag-avar which means “the roe generator” referring to roe of the sturgeon. There is good news for environmentally conscious American citizens who also happen to be connoisseurs of caviar. Now new varieties of caviars are available which are produced from paddlefish and sturgeon farmed in the US. They taste good and at the same time are environmentally sustainable. The development of American caviar also addresses the worries of consumers and culinary experts about the decline of sturgeon in the Caspian Sea. Caspian Sea Sturgeon is the major source for the caviar needs of the world. Sturgeons produce the famous beluga. Due to illegal trade, pollution, over fishing and habitat loss, there is a severe down spiral in the population of sturgeon in the Caspian Sea. SeaWeb, Pew Institute for Ocean Science and Natural Resources Defense Council of University of Miami is urging the American consumers to support American caviars as a better alternative and to safeguard the endangered species of the Caspian Sea. The caviars from Missouri and California are prominently supported by consumers, renowned chefs and media organizations. 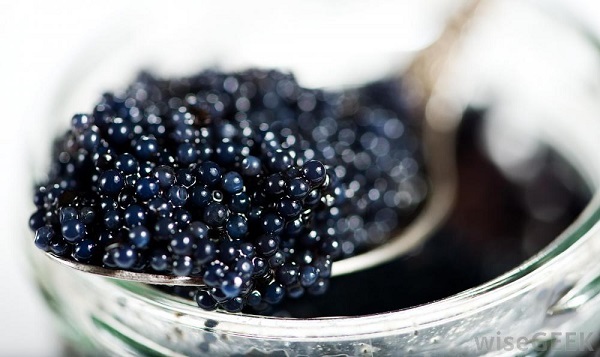 A number of top restaurants in New York removed Caspian Sea caviars from their menu and replaced them with American caviars in an effort to help the environmental groups protecting the Caspian Sea sturgeons. Most of the party givers would like to know how much caviar should be bought for their party. It depends on the number of guests attending the party and how the caviar is going to be served. With every ounce of caviar, you can serve 8 to 10 guests. Quarter teaspoon or less of caviar can be used for garnishing purposes. With caviar on top of an appetizer and to enhance the taste of caviar predominantly, use half a teaspoon. Caviar should not be opened until it is needed. Leftovers should be promptly covered and stored in the fridge to be used within a couple of days. If the taste of the caviar is to be retained, do not freeze it. When you freeze the caviar the roe membrane of the caviar gets toughened and the flavor is altered. If you do freeze it, slowly defrost the frozen caviar in the fridge for at least a day or two before you serve. Caviar should be refrigerated at 28 to 32 degrees by putting the tin in the meat shelf or surrounding the bowl containing caviar with ice.